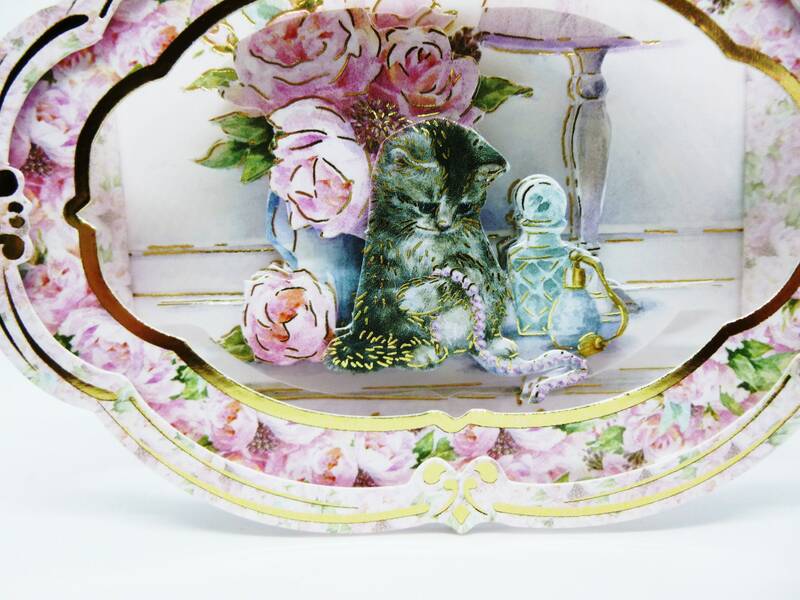 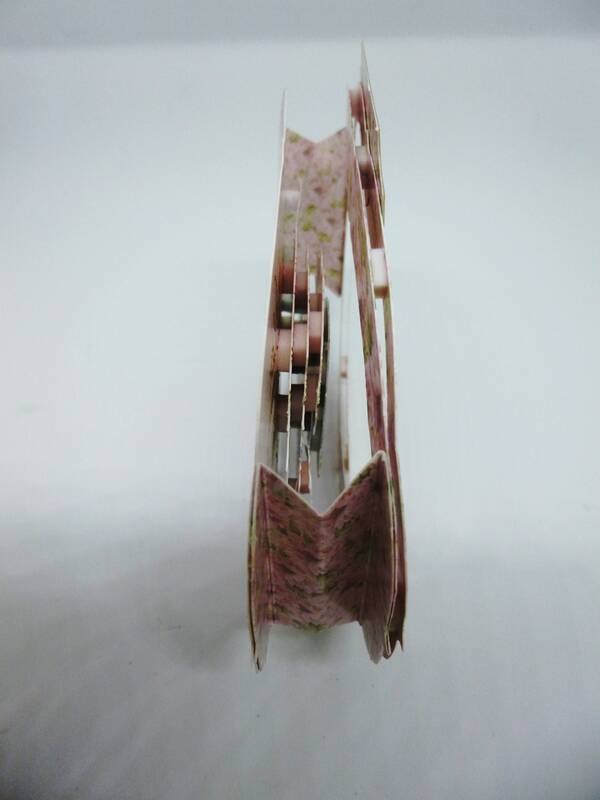 A very cute card 3 D decoupage of a kitten playing with pearl necklace. 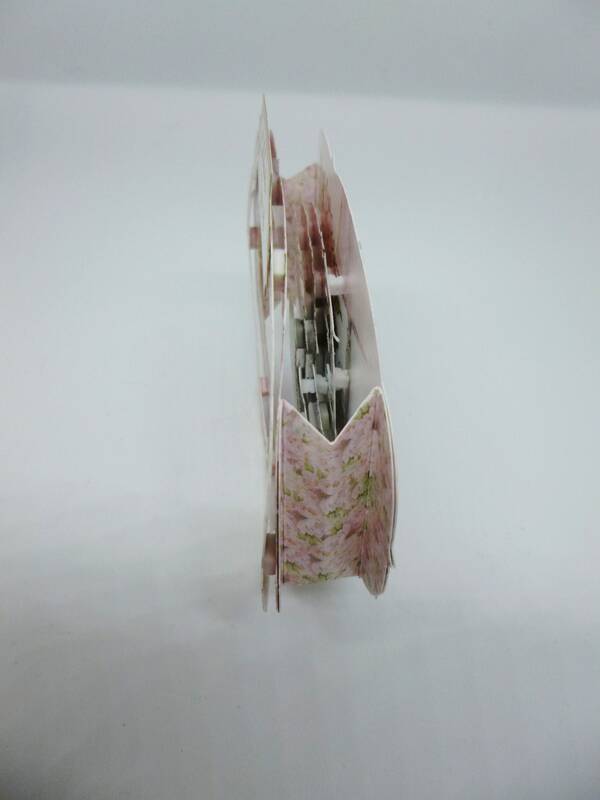 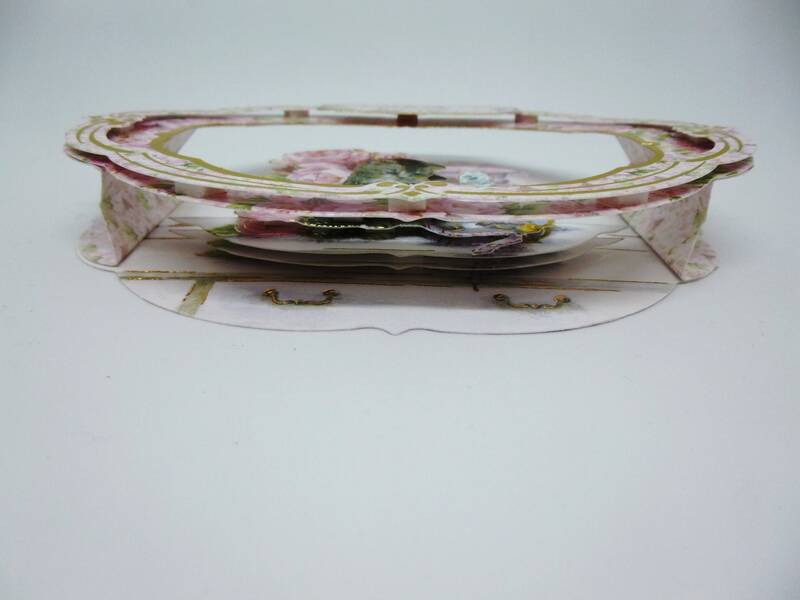 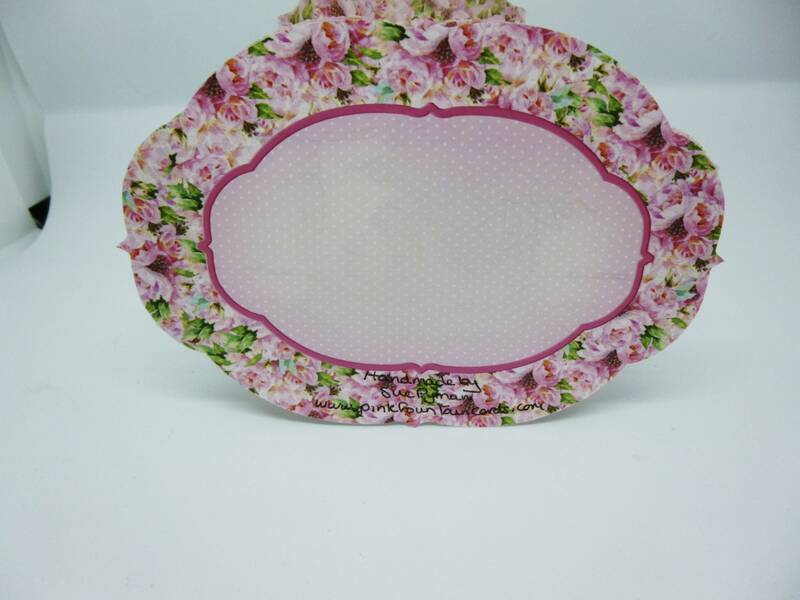 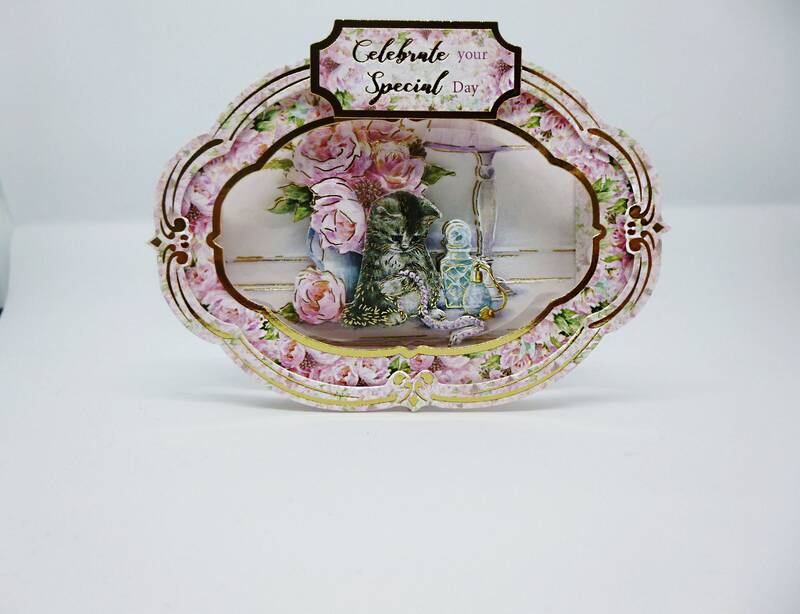 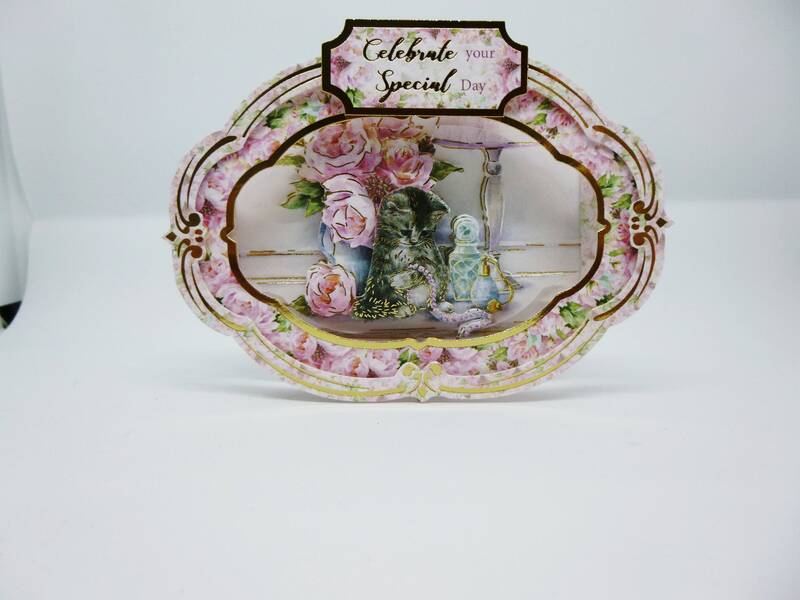 shaped pink and gold frame, with the decoupage in the centre. 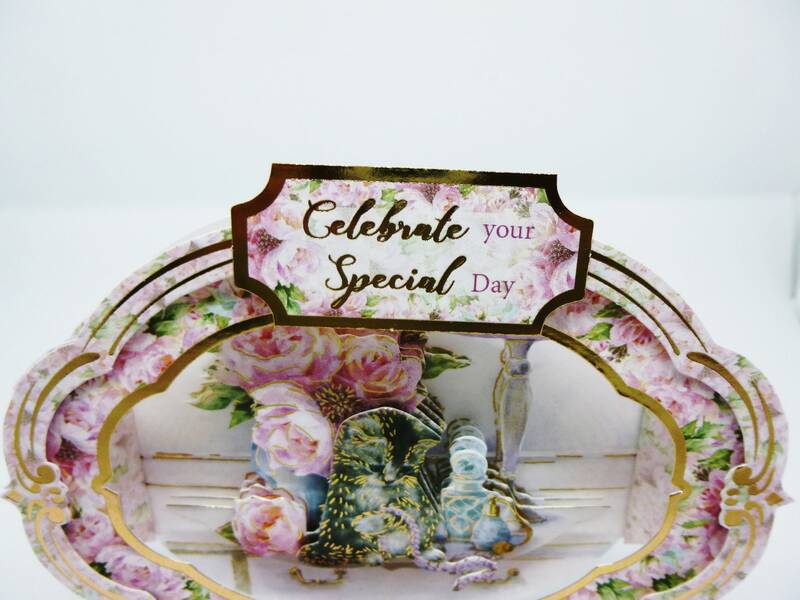 At the top is a sentiment which says 'Celebrate your Special Day'.